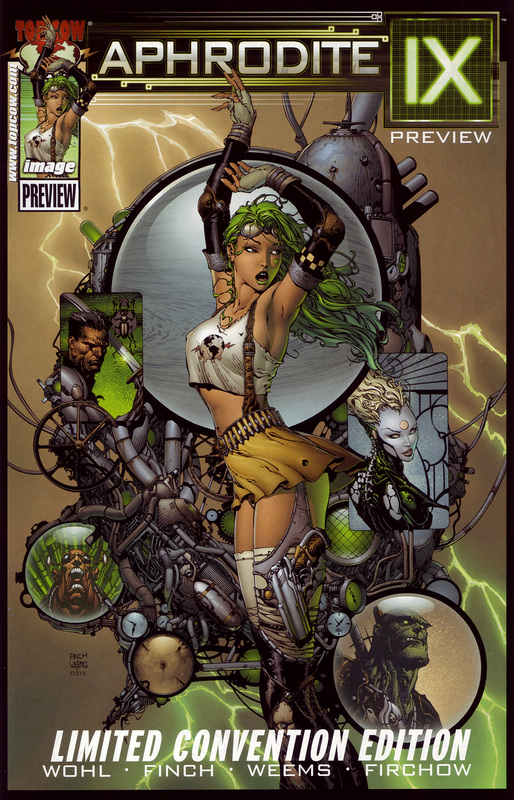 More David Finch Aphrodite at #62. Check back with me tomorrow night for more scans from the count-down of my Top 100 favorite comic covers. Ugh. The last hurrah of the ’90s, it looks like. An exploitative outfit that’s too busy, the woman’s back arched unnaturally, and a belt made of bullets. We even get a sword in one of those little bubbles, along with a few other typical Image ’90s cliches. It’s reasonably well-drawn, but it’s still way too ’90s a cover.